I know that every one of you reading this can likely name someone right now (perhaps it’s you) that is having a major family struggle, be it a floundering marriage, a rebellious child, or constant conflict in the home. There is nothing that saps our joy and energy more quickly than battles raging within our own walls. It would be naive to think we will make it through our entire lives always seeing eye-to-eye with those we love and saying, “Bless you sweet things.” Ha! As much as I love my husband, I have absolutely shot darts at him from across the room with my glare. And as much as my children bless me, I have at times contemplated pinching their heads right off. Please don’t call social services. Trust me, it is impossible :-). Despite those moments, you can have a family that is a sanctuary of peace and love, not only for you but for others as well. I believe the first step to a strong family is to live with unified purpose and vision. Everyone has an innate need to belong somewhere and to live for something greater than themselves. Why not begin in the home? I’m no psychologist (although I’m convinced most moms should hold an honorary title), and I don’t claim to have a Happy Family Formula. If there was such a formula, then it would be too easy and its rewards too cheap. But with a little consistency, a lot of dedication, and even more faith, you can be sure you’re building your home on solid ground. That being said, I’m going to tell you what has worked for us. It may give you a framework to build upon. Oh please don’t think we have it all together! We don’t. What we do have is a clear cause, which for us is the cause of Christ, a shared vision of our family serving that cause, and a belief that we are better together. We have made many mistakes, but we have landed on the grace of God and trusted Him to make it good. 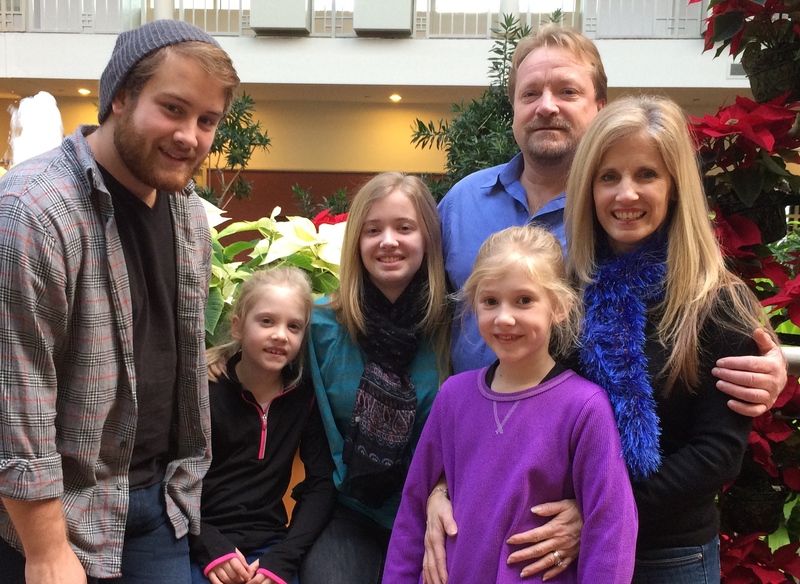 Clucas Family Creed—Lived out imperfectly for the Glory and by the Grace of God. We praise God and seek His will for our lives knowing it is better than our own and extends beyond the here and now. We love, honor, and pray for one another. We serve others, beginning first in our family then outward, believing in the incredible worth of everyone. We live with integrity and honesty, knowing that character is built not bought. We choose gratitude even in want. We give generously whenever we are led. We choose to bless and not curse with our words. We confess immediately, apologize often, and forgive before it’s requested. We remember we go everywhere bearing two names–“Child of God” and “Clucas”– and we choose to represent them both well, whether seen or unseen. Well, that’s it. I bet you have your own creed even if you’ve never thought about it. Maybe you should write it down. Do it as a family so that everyone can own it and begin to build into it. Before you know it, your family will be unified behind a grand vision and you’ll be striving toward a purpose rather than striving against each other. And remember sweet mamas, it is never too late to begin no matter how hopeless things may seem. I believe in a God who turns everything we surrender to Him into something beautiful. He will do the same for you no matter how ugly it may be. I promise you. This entry was posted in Faith, Family, Moms, Parenting and tagged family, family creed, home, marriage, parenting, strong family, unity, vision by Rita Clucas. Bookmark the permalink.